Our co-founder, expert guide and Aurora Physics Professor, Torsten, starts organizing Aurora chases on behalf of Nordlyssenteret, a project he initiated in order to build center around the Northern Lights in Tromsø, both for tourists and research community. First chases allowed him to collect insights about his idea and share his knowledge about the Aurora Borealis with his guests. It went beyond expectations. This month brings two important events. First, Torsten’s knowledge of the Aurora phenomenon allowed to extend the season until April 21st. He reinvigorated the experience of chasing the Northern Lights when the season is ‘officially’ off. A lot of delighted guests joined Torsten’s tours to see the Northern Lights and hear interesting tidbits about the phenomenon. Second, a new company, Tromsø Guide AS, was born on April 12th. Its mission became to provide and preserve stellar experience for everyone who travels to Tromsø to see the Northern Lights. We started our first official season with a unique and timely offering, Summer Aurora Chase, from August 21st. We served 50 guests until September 14th, making a breakthrough among local companies and enriching the lives of our guests from all over the world with unforgettable and fond memories of the Aurora. Our guest-centered and neat website is launched. We order brand new Volkswagen Caravelle 8-seater to our car fleet. This new car will allow us to provide exceptional service to our customers, making chases more enjoyable, comfortable and interactive. We are excited to welcome Kjell Oddvar Inderby to the Tromsø Guide Team. He is a fantastic person and professional guide with local roots. After 37 years with the Norwegian Search and Rescue Service, Kjell Oddvar decided to dedicate his time and efforts to become a professional Northern Lights guide. In the course of his career he had covered oil fields off the coast of Northern Norway, helped establish the Svalbard SAR Service, conducted safety training, and been part of countless helicopter missions — in all kinds of weather conditions. He finds it fulfilling to let his guests experience nature unspoiled and magical Northern Lights away from the city of lights of Tromsø. Tromsø Guide has its home, Guides Central, for the 2018/2019 Aurora season. Its central location, Sjøgata 29, allows our guests to get to the departure/pick-up location without being in a rush. This space is ideal for our guests who wish to relax in a lounge, use free Wi-fi, get access to rest rooms and, of course, meet local Aurora guides. 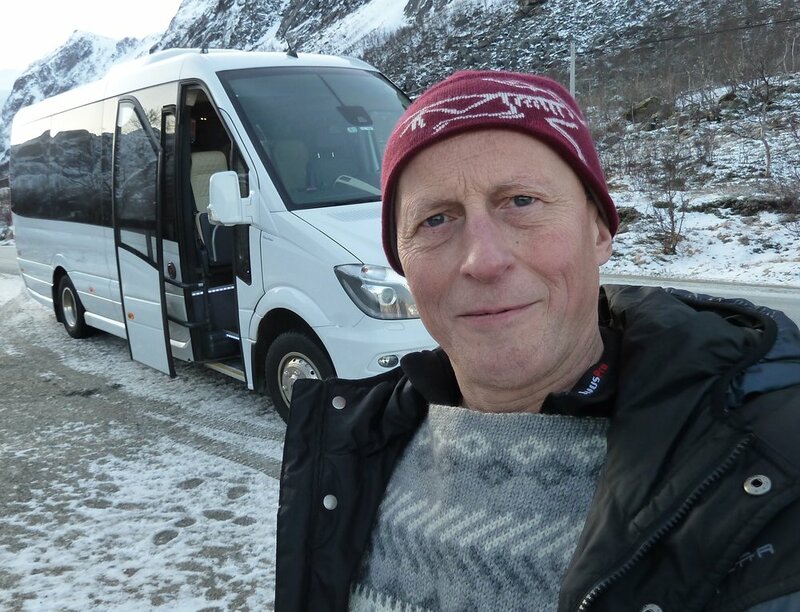 In the early start of 2018, we were fortunate to contribute to the filming of the BBC program “Under the Christmas Sky.” Our lead guide, Torsten, was hosting and chasing the Northern Lights with the production crew from Windfall Films and two great TV presenters–Michaela Strachan and Chris Packham–in the surroundings of Tromsø. After almost a year, the program was aired on BBC TWO on December 23 and Christmas Eve.